The Columbus Orthodontic Center makes technology a priority because it allows us to provide an even higher level of care. 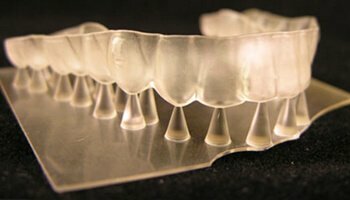 Compared to traditional orthodontic technology, the newest tools allow us to be more efficient while keeping our patients more comfortable and safe. Your dentist needs to see your teeth and surrounding oral structures from multiple angles to put together the most effective treatment plans for procedures like impacted third molars. 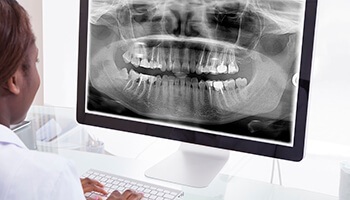 Taking multiple x-rays and CT scans takes time, is expensive, and may not provide the best images for your dentist. But, with our i3D Smart RC machine, we can get two in-depth images in a single scan! 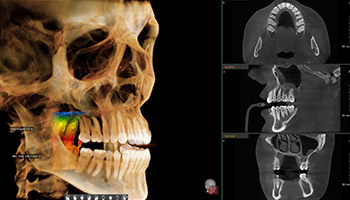 In a matter of seconds, we’ve got a CT scan and a pano to use to build your treatment plan. The resulting image can be viewed in-depth at 360 degrees. Compared to traditional film-based x-rays, digital x-rays are better in every possible way. As opposed to having to wait for images to be developed using harsh and toxic chemicals, our digital machine can create scans almost instantly. They can even be shown to you almost immediately on a chairside monitor, as well as be magnified and color-coded for clarity. Also, for those who are concerned about radiation, our digital x-ray machine emits 80-90% less radiation than a traditional one. At the Columbus Orthodontic Center, you will never have to bite down onto cold and messy dental putty for an impression. Using our digital impression system, Dr. Mason can create a comprehensive 3D model of a patient’s smile in a matter of seconds. He can even use a 3D printer to create a physical model right in our office. It doesn’t require the use of dental putty. It won’t interfere with your breathing or swallowing. No more foul tasting or smelling impression materials. Since everything is digital, the turnaround times for treatments will be drastically shortened. Your treatment will fit better and be more comfortable. 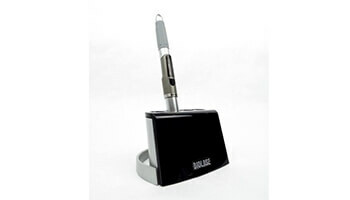 With this device, we get a quality impression every time, the first time. For more information about our view our ITero Element, please click here. We’re happy to have a device that you won’t find in any other orthodontic office: a 3D printer! 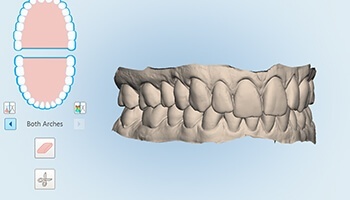 With it, we’ll be able to make your digital impression into a fully-realized physical model that we can use to fabricate retainers and other orthodontic devices so that they fit your smile perfectly. 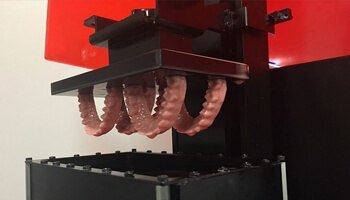 This printer works much faster than the traditional method of creating models, meaning that you’ll be able to receive your orthodontic treatment and start getting your dream smile even faster. Sometimes, the gum tissue may become inflamed or even grow over the teeth during your orthodontic treatment, leading to discomfort. Fortunately, Dr. Mason can easily address these problems using a soft tissue diode laser. With it, he’ll be able to perform painless gum recontouring procedures. Thanks to the precision of this laser, you’ll also experience no bleeding and minimal swelling from the procedure. Laser gingival recontouring and frenectomy performed. The patient shows excellent healing at 4 weeks.